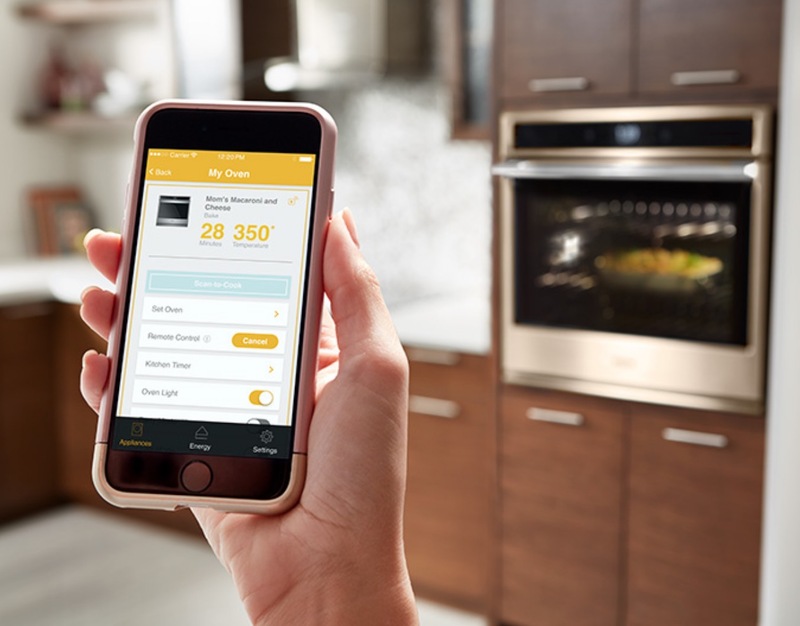 At CES, Whirlpool introduced the Connected Hub Wall Oven concept, which features augmented reality and a touchscreen. Created at Whirlpool’s innovation incubator WLabs, the Whirlpool Connected Hub Wall Oven has a transparent 27” LCD interface that helps users discover and control the cooking process rather than having a traditional glass oven door. The Whirlpool Connected Hub Wall Oven integrates with family calendars so you can also track school and extracurricular activities. And if there are multiple evening commitments it will set up a 45-minute window for dinner together with a prompt for a quick recipe. Plus the connected oven will be able to suggest recipes based on family preferences. And there are step-by-step video instructions through the Yummly platform that appears on the LCD screen. Families will be able to follow the recipes on the over door itself. The Coordinated Cooking feature prompts the steps at the right time on the LCD screen. And the Whirlpool Connected Hub Wall Oven will provide instructions such as the rack to use and the cooking cycle to select.